Happy new year everyone! Yes, we're still around and planning our next year of events. The wrap-up somehow got neglected in the madness that was the lead-up to PAX Australia, so here it is - in full. TL;DR? Ducks are awesome, thanks to everyone who attended and our usual venue is unavailable for the next six months or so, but we're still hard at work, planning something awesome for you guys in the first half of this year. Anyone who's known me knows that I have had a lifelong obsession with ducks, so I was grinning ear to ear when the voting results for the next theme came in and Duck Season was numero uno. NVIDIA and Gigabyte came to the table, quite literally, with 500 rubber ducks specifically for this event which was awesome. And they came through with last-minute notice as well. A+ effort to those guys, who have also launched their GTX950 GPU. The amount of people who have messaged us (and myself, personally) asking for ducks was overwhelming! Fortunately for NVIDIA and Gigabyte and unfortunately for us, these ducks disappeared very quickly as people discovered how cool they were, so sadly we don't have any spares left. The blue ducks, used for the AFK Duck Hunt prizes and the lucky prize draw, were very hard to get even for us, but there were only 50 of them in all. I'm happy enough to have one of each and will be adding them to my prized collection of rubber ducks. I'm looking at the Saturday montage clip right now and seeing all these ducks everywhere and it's just fantastic to see. One person cut a duck like an Apple peel. We found it during pack-up. That person made me very sad. The good news is, this was the only duck I found that was left behind, so we're thrilled that people loved the idea. We did some other awesome duck themed stuff, including Duck Hunt on a NES (thanks to ShadowReaper for bringing that along!) and a four player DUCK GAME tournament. Duck Game is a hilarious multiplayer platformer that results in endless hours of hilarity and frustration. I've played it a few times on the projector at Beta Bar. I was really excited to meet the developer of the game at PAX Prime this year and some of you may have seen R4N and myself sporting Duck Game lanyards which made the trek all the way back from Seattle. If you've got a slow day and want some action (or a fast day and you want to chill, or you just want to play a game..), hop on Steam and check it out - it's only $13 US dollars (which is what, about fifty Australian now? It's sure starting to fill like it...) or you can buy a four pack for US$40 and split it amongst your friends. I did a brief interview with the Duck Game developer in my vlog from PAX Prime. - https://www.youtube.com/watch?feature=playe...8zDZXa7U#t=1093 - sorry about the audio. It's worth it! This guy MADE THIS THING. The coolest tidbit? He plans on patching the game and making stuff for it for as long as he lives. Okay, elephant in the room time. Let's talk about the network outage and look, we're really sorry that happened to you guys. This was our first time with some brand new (they've been shipping for two months) 10GbE switches running the back-end infrastructure including a brand new (to us) SAN which we used for the Steam cache and was the major significant change to the network. We're still not too sure what caused the outage (or if it was the new gear at all) but we're taking every step to ensure this never happens again. Statistically, it won't - this is our first significant network outage in the ten years we've been running events together. We've gone through all the diagnostic info we collected during the outage and are currently running through tests to see if we can reproduce the issue. We now have a workaround, too, so if we see the issue again, we'll be able to stomp it out super fast - and thanks to everyone who was cheering and clapping when the network dropped out; this was a great diagnostic resource to have near-instant feedback during troubleshooting. There was so much to do at this event in addition to our extensive list of tournaments - including Scorptec's time trials where they gave away $1700 worth of stuff and they had some great deals in peripherals that were so good, I snapped a set up for myself. Live coverage from the event is up, thanks to our friends at Gamestah! The casting of the CS:GO and Rocket League finals is intense! Do check it out if you have a moment. Rocket League is my favourite LAN game right now, owing to its simplicity and flexibility as a game. It works on both PS4 and PC and both platforms can join a game simultaneously (PC vs. console, anyone?). We can run 2v2,, 3v3 and 4v4 - giving us a great deal of flexibility there with how we structure and pitch our tournaments as well. It's also just as much fun to watch as it is to play. Rocket League is here to stay and you'll see a lot more from us in the near future. One of our demo systems with a pair of 980Ti's wasn't working. Who knew that the BIOS POST error code "A9" means "reseat your SATA cables, because there's something weird going on there"? We didn't and it did our heads in for a while but we fortunately solved the issue on Monday night which is a relief - X99 motherboards like the Gigabyte G1 Gaming board in the system still cost premium dollar. We found the answer in a forum thread thanks to The Google, buried several posts down in a "I replaced my SATA drive and the system worked". The other demo rig had three 980's in three way SLI. This is the first time I have personally seen a three way SLI system and this same build will be on display at PAX Aus in the expo hall along with other NVIDIA battle box builds. Both systems were powering 4K LG displays which were phenomenal, even with the 1.5K price tag. If you guys have ANY ideas on what games you'd like to see on high end gaming systems at future events, let us know and we'll see if we can make it happen for you. We also had some extreme overclocking happening thanks to Matt, who was pouring liquid nitrogen on his stuff to et some insane clocks. A tip of our hat goes to our wonderful sponsors and supporters of our event - Gigabyte, NVIDIA, Plantronics, Scorptec Computers, AeroCool, Dx Racer, Corsair and Epic Gear, who made this event possible and were solely responsible for almost every thing we gave away as a prize over the weekend. We have a wonderful team who spend countless hours during their free time to bring you guys Respawn LAN and it's always an honour to work with such a talented team. Be sure to thank them for a wonderful event the next time you see them. See you all soon at our next event! 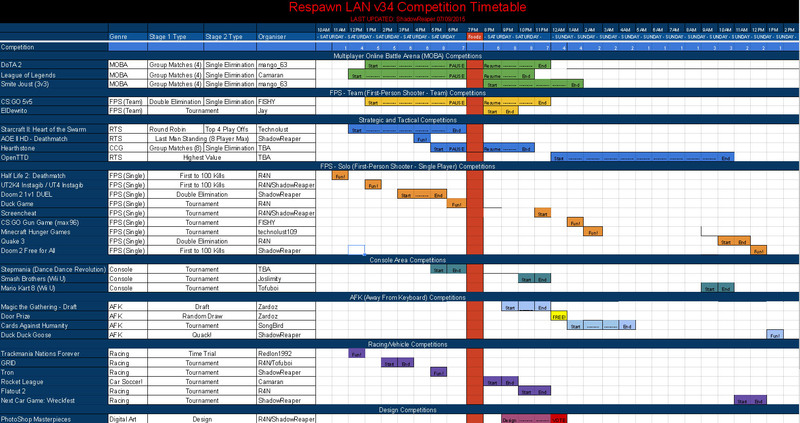 It's under a week until Respawn v34: Duck Season, and we're getting pumped! We're super excited about our first ever Rocket League 2v2 tournament, we've got some awesome prizes for our Smite 3v3 competition, and we announced $1,000 in cash prizes for CS:GO 5v5 last week. And now, we're announcing even more prizes! Following the recent launch of the NVIDIA GTX950 GPU, we'll have two demo systems. One will be running a GTX950, and the other a GTX650 so that you can experience the difference the 9 series makes. And we'll have two further demo systems, running GTX980s in SLI to show off gaming in 4k with NVIDIA. Speaking of high powered gaming, thanks to the Australian OC hwbot team and Gigabyte we'll have some some liquid nitrogen overclocking demonstrations during the event. Just when you thought the weather was warming up, we're cooling you down to sub zero! Aww yeah. And there are even more prizes! For any upgrade needs or emergency PC supplies, we will have Scorptec on site during Saturday morning and early afternoon. We're not quite sold out yet, so there's still a chance to get in on the action. Don't forget to follow us on Facebook too! Get your light guns ready and watch for the next passing flock, because it's duck season! Thanks to our principal sponsors, NVIDIA and Gigabyte!  Thanks to our wonderful principal sponsors Gigabyte and NVIDIA! Registrations are open now! Prepay for your ticket to choose your seat ahead of time. For less than the cost of taking a date to the movies, you can enjoy our action packed game-filled environment all weekend! Prizes and a finalised timetable will be announced on our Facebook page and website. Each ticket purchase covers entry to as many tournaments as you think you can handle in one weekend! We'll be doing event shirts again this event. Keep an eye on our facebook page and forums for more details in the next week or two. More details over the next few days, including registration information! Hang tight for more info! Registrations and Confirmations are now open!. Remember, the only way to book a seat is to prepay for your ticket. Seat booking thread is here. Read and follow the instructions on the top and good things will come to all.